Reliance Jio is reportedly testing a triple play plan for Jio GigaFiber. This triple play plan bundles access to Jio Gigafiber, Jio Home TV, and Jio Apps in a single monthly package. 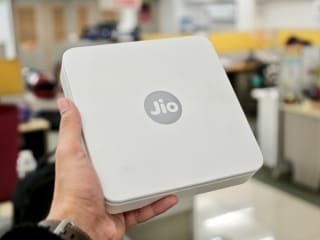 Although Reliance Jio has started offering Jio Gigafiber connections in select cities around the country, the company is yet to announce the official plans and the current customers are being on-boarded under the preview offer. Reliance Jio is yet to officially unveil the GigaFiber plans and rollout schedule. 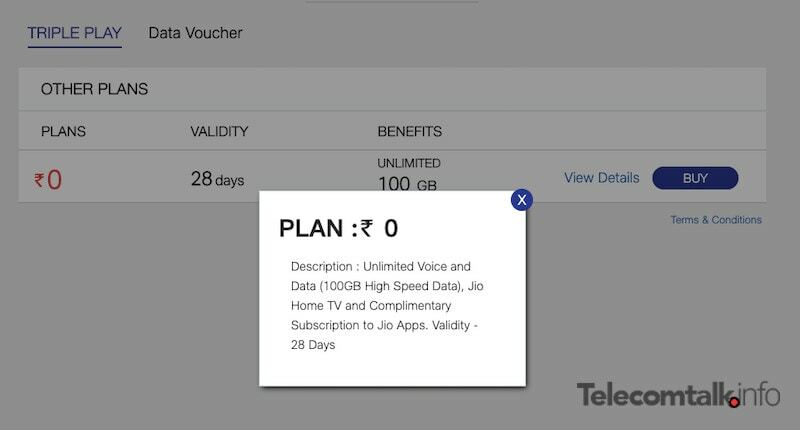 According to a report in TelecomTalk, Reliance Jio is testing the triple play plan with its employees and the plan can be seen on the GigaFiber account dashboard. As of now, the company only seems to be listing a single triple play plan, which has a validity of 28 days. The plan benefits include unlimited voice and data access up to 100GB, access to Jio Home TV, and complimentary subscription to Jio Apps. There are no charges for the triple play plan right now as it is under testing. The most interesting aspect of the triple play plan is the inclusion of Jio Home TV service. It seems Reliance Jio is rebranding its GigaTV service and will be calling its Jio Home TV. Although Jio GigaFiber is now available to select consumers, we are yet to hear about the rollout of the Jio Home TV. It is possible that the company will test the service first with its employees via the triple play plan, following which it may be offered to the existing non-exployee Jio GigaFiber consumers. There is no word on when the triple play plan will be offered to the regular Jio GigaFiber users and the company is yet to officially reveal when the GigaFiber service rollout will be expanded. We have reached out to Reliance Jio for more clarity on the GigaFiber triple play plan and the official rollout of the service and will update the report when we hear back.